The technology industry and Washington policymakers are clashing in unprecedented ways. President Trump says the federal government is scrutinizing Amazon, Facebook and Google for potential antitrust violations. Lawmakers have declared the "Wild West" era of social media over as they contemplate tough privacy laws and other ways to respond to the spread of disinformation and fake news on digital platforms. Emerging technologies such as 5G, artificial intelligence and quantum computing are being debated throughout the government, and companies are racing to adapt to this new reality while advancing their political and policy agendas. 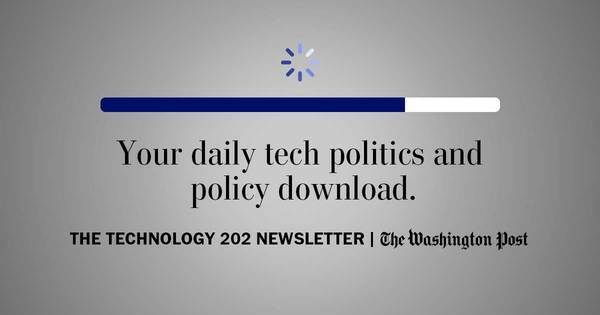 That's why on Tuesday, Dec. 4, we're launching The Technology 202, a weekday morning newsletter from reporter Cat Zakrzewski. The Technology 202 will deliver smart analysis about where technology and politics intersect to help you make sense of the dynamic relationship between Silicon Valley and Washington. We respect your privacy. You received this email because you are a registered user of washingtonpost.com and we wanted to recommend a new feature of our website that may be of interest to you. If you do not want to receive these emails from The Washington Post, click here. Contact us for help.